List of Arkansas schools offering degree programs in nursing, RN-to-BSN, RN-to-MSN, LPN, CNA, and more. Home of the 42nd President, Bill Clinton, Arkansas is prized for its lush Ozark mountains and ties to its history. Vacationers and locals soak up some alternative healing in the Hot Springs National Park. 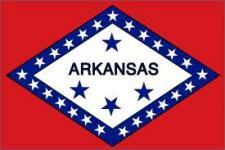 Arkansas is another state that supports the Compact agreement for registered nurses and LV/PNs.